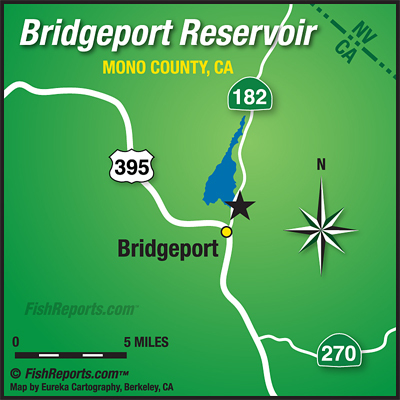 Bridgeport is fishing excellent still, bait fishing and tubing with streamers up in the East Walker channel and down near the dam have been doing well. There's also some good trolling down in the lower end near the dam. Rapalas, bouyants and needlefish have been doing well, crawlers and power bait, and for flies it's been hornbergs, mini leeches, seal buggers and soft hackles.